88.0 complains about keys that are not supported , while they are? but if you look in documentation pages, all those keys are stil supported? can you show your errors/warnings? Your configuration contains extra keys that the platform does not support. 2019-02-21 09:10:30 WARNING (MainThread) [homeassistant.loader] You are using a custom component for custom_updater which has not been tested by Home Assistant. This component might cause stability problems, be sure to disable it if you do experience issues with Home Assistant. 2019-02-21 09:10:38 WARNING (MainThread) [homeassistant.helpers.config_validation] Your configuration contains extra keys that the platform does not support. Please remove [icon]. (See /home/homeassistant/.homeassistant/configuration.yaml, line 59). Please remove [initial]. (See /home/homeassistant/.homeassistant/mqtt/sensor.yaml, line 29). Please remove [initial]. (See /home/homeassistant/.homeassistant/mqtt/sensor.yaml, line 35). Please remove [initial]. (See /home/homeassistant/.homeassistant/mqtt/sensor.yaml, line 41). Please remove [initial]. (See /home/homeassistant/.homeassistant/mqtt/sensor.yaml, line 47). Please remove [initial]. (See /home/homeassistant/.homeassistant/mqtt/sensor.yaml, line 64). Please remove [initial]. (See /home/homeassistant/.homeassistant/mqtt/sensor.yaml, line 88). 2019-02-21 09:10:41 WARNING (MainThread) [homeassistant.loader] You are using a custom component for sensor.google_fit which has not been tested by Home Assistant. This component might cause stability problems, be sure to disable it if you do experience issues with Home Assistant. 2019-02-21 09:10:41 WARNING (MainThread) [homeassistant.loader] Integrations need to be in their own folder. Change sensor/google_fit.py to google_fit/sensor.py. This will stop working soon. 2019-02-21 09:10:41 WARNING (MainThread) [homeassistant.helpers.config_validation] Your configuration contains extra keys that the platform does not support. Please remove [initial]. (See /home/homeassistant/.homeassistant/mqtt/sensor.yaml, line 113). Please remove [initial]. (See /home/homeassistant/.homeassistant/mqtt/sensor.yaml, line 124). Please remove [initial]. (See /home/homeassistant/.homeassistant/mqtt/sensor.yaml, line 135). Please remove [initial]. (See /home/homeassistant/.homeassistant/mqtt/sensor.yaml, line 146). Please remove [initial]. (See /home/homeassistant/.homeassistant/mqtt/sensor.yaml, line 157). Please remove [initial]. (See /home/homeassistant/.homeassistant/mqtt/sensor.yaml, line 168). Please remove [initial]. (See /home/homeassistant/.homeassistant/mqtt/sensor.yaml, line 179). Please remove [initial]. (See /home/homeassistant/.homeassistant/mqtt/sensor.yaml, line 190). Please remove [initial]. (See /home/homeassistant/.homeassistant/mqtt/sensor.yaml, line 201). 2019-02-21 09:10:42 WARNING (MainThread) [homeassistant.helpers.config_validation] Your configuration contains extra keys that the platform does not support. Please remove [name]. 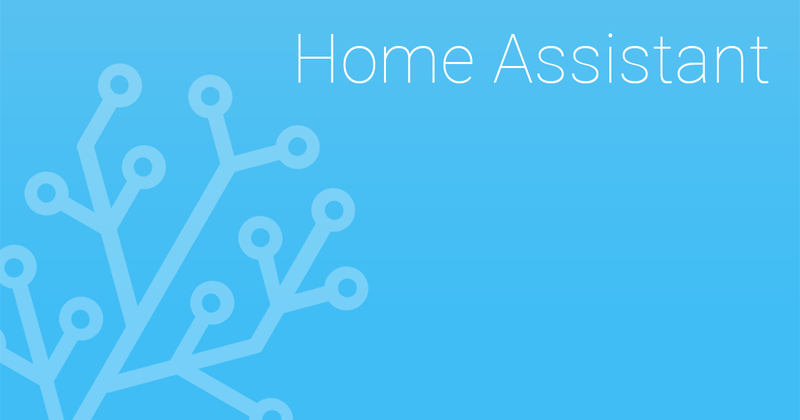 (See /home/homeassistant/.homeassistant/configuration.yaml, line 162). 2019-02-21 09:10:43 WARNING (MainThread) [homeassistant.loader] Integrations need to be in their own folder. Change sensor/google_fit.py to google_fit/sensor.py. This will stop working soon. One thing to check is look for stuff you have that isn’t working… With MQTT BTW, retain and optimistic I think are gone. Other errors are custom_components and it tells you they need to be renamed and moved… Just tackle stuff one part at a time. Missing devices and components are the things to look for. Also some of the docs might be lagging so you can check the actual PR’s if they are in the release notes for clues. I do not have components mqtt is just a folder so called. There are just ordinary sensors. Previously, there were mqtt sensors, because there was no smartthings integration. Now there are only Home Assistant sensors. Instructions on how to integrate Synology Surveillance Station cameras within Home Assistant. Issue: 88.0 complains about keys that are not supported , while they are? 2019-02-21 09:46:41 WARNING (MainThread) [homeassistant.helpers.config_validation] Your configuration contains extra keys that the platform does not support. Please remove [system], [parameter], [object_id], [data]. and the line indicated was for pushover. anyone else seeing this warning message? Every time there is warning about a key that is missing but it is supposed to work, it is actually an existing bug that is surfacing. Report them and the can be fixed. When reporting, don’t just dump your logs in an issue and let us figure it out, because we won’t. Report on a per platform basis which keys are getting flagged. Does it means they already did action? Here , see below, or do I need to report again? Dark sky key update_interval: for sensor works, for platform, HA complains. Write it up as an issue on github, that’s what @balloob is refering to when he says ‘report it’. Version 0.88 contains a Breaking Change concerning update_interval. It has been replaced by scan_interval. I mentioned it in a post here and, for the convenience of others, listed some of the affected components. DarkSky is one of them (the DarkSky Sensor’s documentation shows an entry for the scan_interval option but not for update_interval).